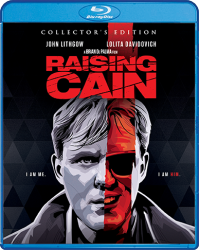 Product Notes: The film is only on the Blu-ray disc of this Blu-ray/DVD set; the limited edition poster has SOLD OUT. Expect the unexpected... he does. Neurosurgeon. Physicist. Rock Star. Hero. 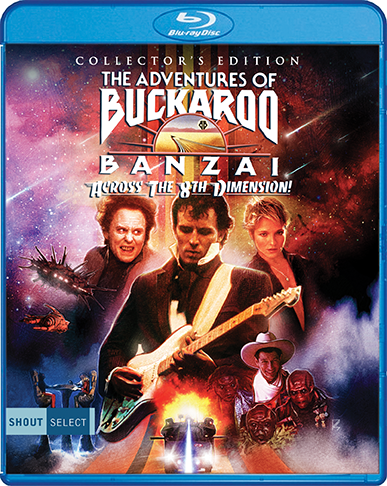 Buckaroo Banzai (Peter Weller, RoboCop) is a true 80s renaissance man. With the help of his uniquely qualified team, The Hong Kong Cavaliers, Buckaroo is ready to save the world on a moment's notice. But after his successful test of the Oscillation Overthruster – a device that allows him to travel through solid matter – he unleashes the threat of "evil, pure and simple from the 8th Dimension"... the alien Red Lectroids. 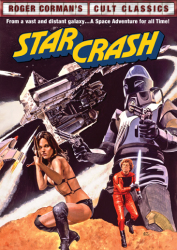 Led by the deranged dictator Lord John Whorfin (John Lithgow), the Lectroids steal the Overthruster with the intent of using it to return to their home of Planet 10 "real soon!" 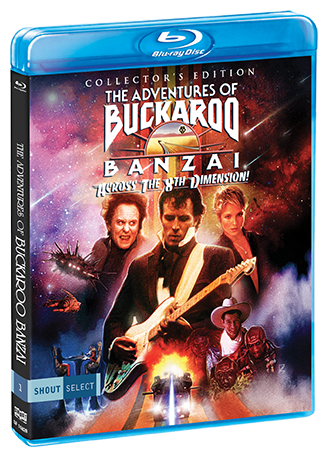 But no matter where you go, there Buckaroo Banzai is... ready to battle an interdimensional menace that could spell doom for the human race. 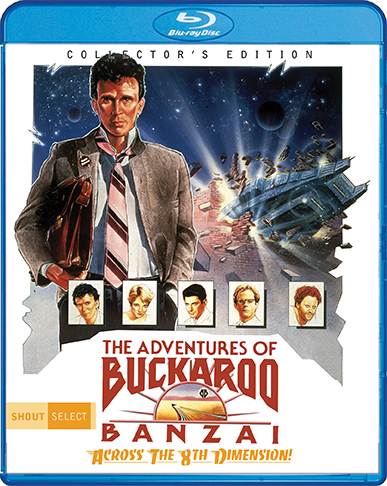 Featuring Ellen Barkin, Jeff Goldblum, Christopher Lloyd, and Clancy Brown, The Adventures Of Buckaroo Banzai is a cleverly crazed cult classic as only the 80s could deliver.